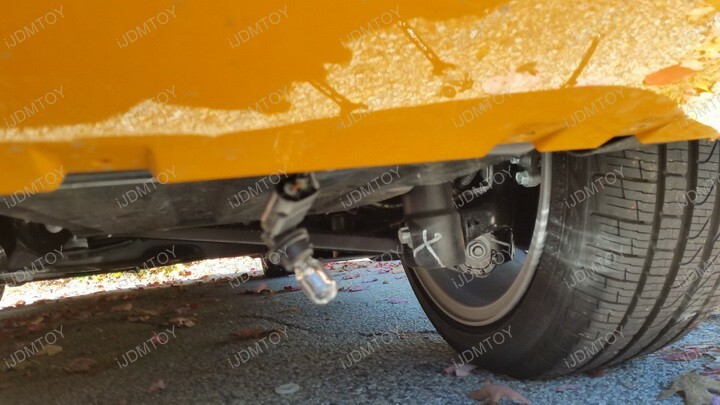 Q: What vehicle will this LED fog light enable kit work with? A: The 9-SMD LED replacement bulb w/ rear fog lamp enabling kit is made to fit the MINI Cooper R56, R57, R58, F59, F55, F56, and F57 models. Q: What does this kit do exactly? A: By default, your US model MINI Cooper's rear fog lights are disabled. 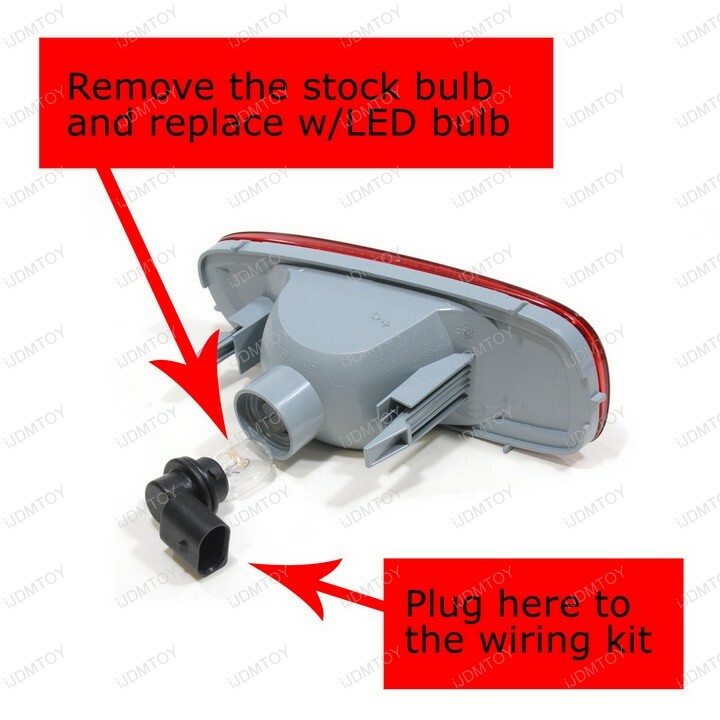 This wiring adapter kit will not only activate your rear fog lights when you turn on your headlights, but also upgrade them to LED using the included LED fog light bulb. Q: How will I know if this kit is compatible? A: Refer to this image below. The rear fog light enabling kit will only work with sole rear fog lamps and will NOT work with rear backup/fog combination lights. 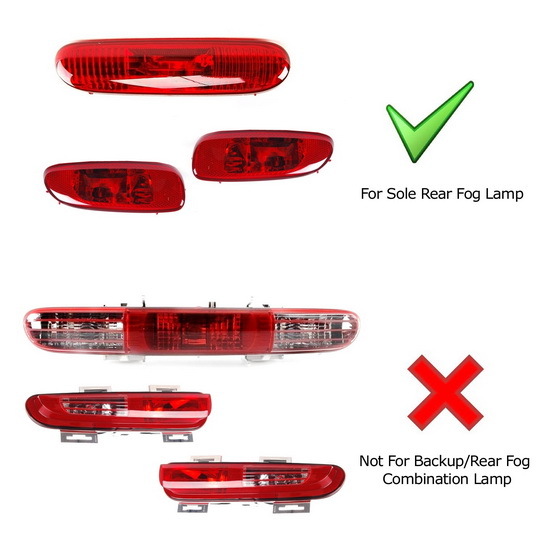 Q: Why would I need two rear fog light enabling kits? A: You will need two fog light enabling kits if your MINI Cooper has two rear fog lamps. 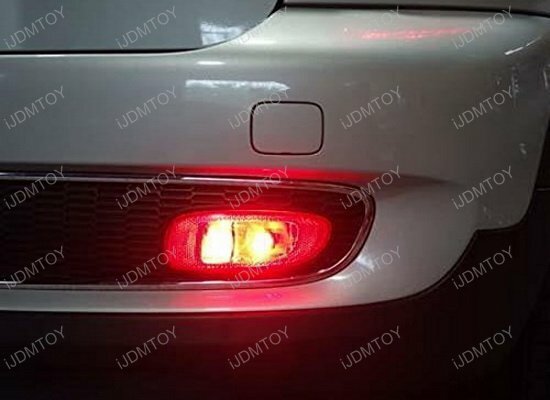 Q: Will I have to perform any modifications to install this rear LED fog light set? 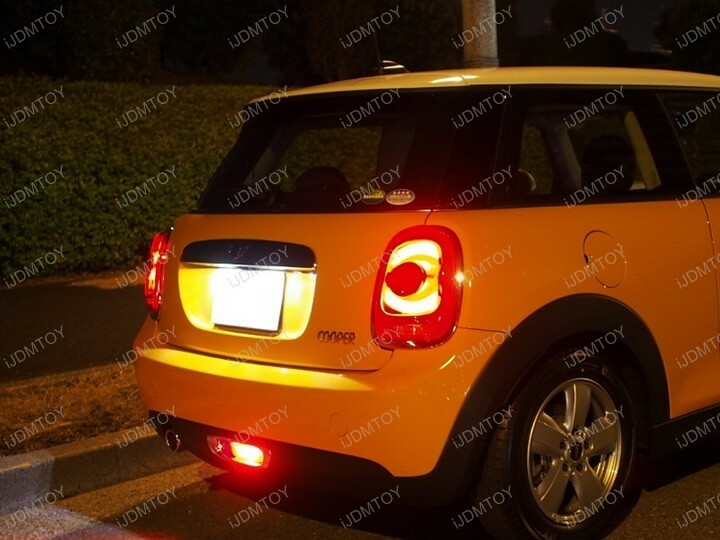 A: No modifications are required to install this MINI Cooper rear LED fog light kit. 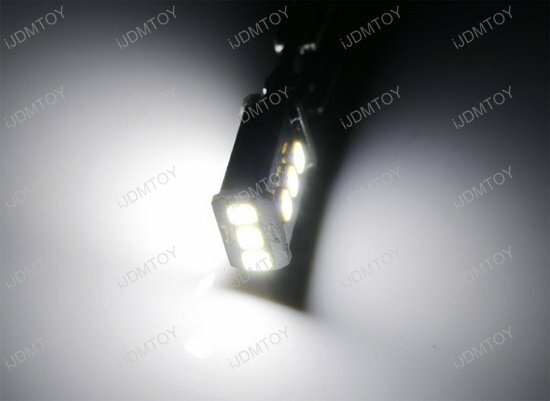 This LED assembly is made to directly fit your vehicle. 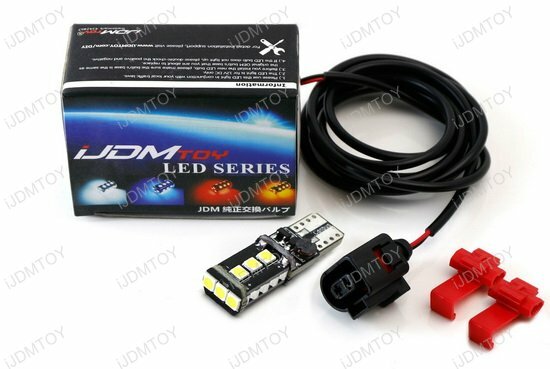 However, simple wiring actions are required to completely install this LED fog light kit. Q: How do I install this? 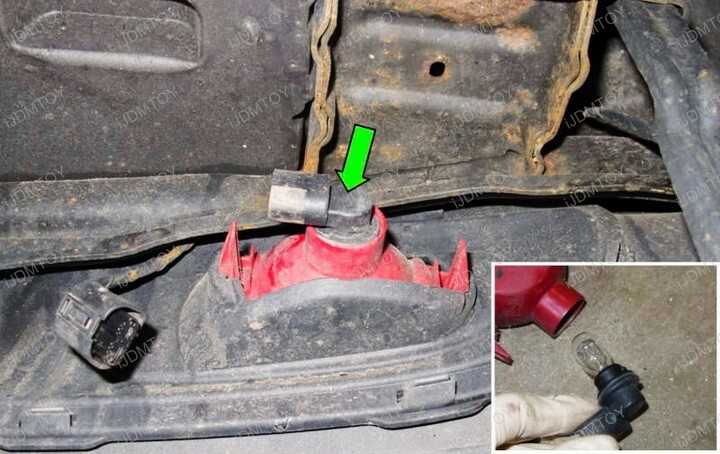 A: Step 1: Remove the screw underneath the bumper so you can reach out to the back end of your rear fog lights. Twist to remove the stock bulb along with the harness. Step 2: Unplug the light bulb from the harness. Cover the stock harness plug with black tape. You will not be using it. Step 3: Twist to lock in the LED replacement bulb into the fog light housing. Plug in the enabling harness to the LED bulb. Step 4: Wire the enabling harness to your tail light positive (+) and negative (-). Test to make sure your LED bulb lights up. For a simple LED upgrade on your MINI Cooper's tail end, look to the 9-SMD LED replacement bulb with rear fog lamp enabler adapter! 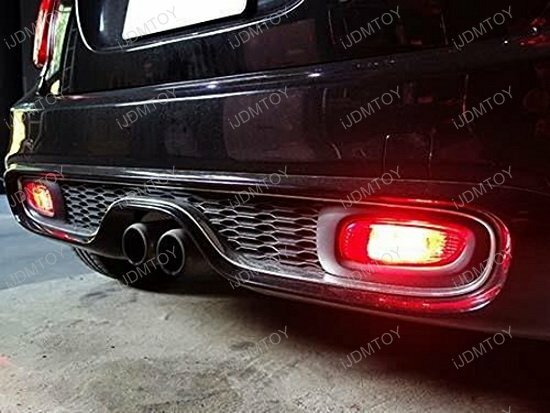 Your package will include (1) 9-SMD LED replacement bulb (921 or W16W size), a rear fog light enabler adapter, and a wiring harness to power your rear fog lights. 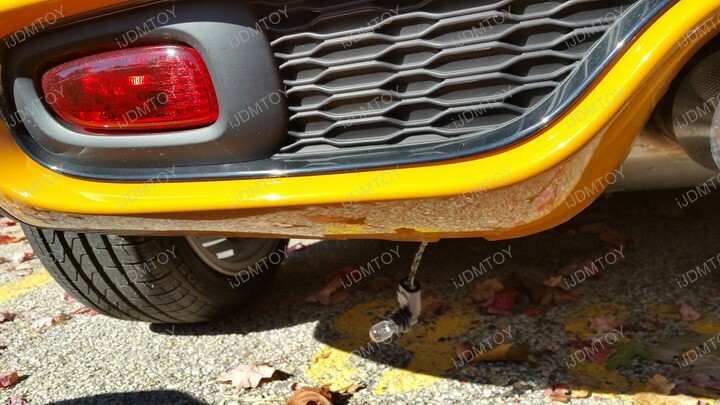 Typically in USDM MINI Coopers, the rear fog lights are disabled for whatever reason. Using our included adapter, you will be able to activate your rear fog lights without the use of an additional switch. This LED replacement bulb set is made to fit the MINI Cooper R56, R57, R58, F59, F55, F56, and F57 models. Since most MINI Coopers have just one rear center fog lamp, only one set is needed. However if your MINI has two rear fog lights, you will need to purchase two units to complete the assembly.